Don't let inexperience with the real estate industry prevent you from becoming a homeowner. I can help you understand the process. Call me at 916-337-3743. First, a little about "escrow". An escrow holder is used to assure your place closes on time and the transaction goes smoothly. Escrow holders hold money for "safe-keeping" in a deal between a buyer and seller. For example, in an online auction, PayPal is the neutral third party that holds the buyer's cash, and then disburses the money to the seller. Upon completion of all instructions of the escrow, closing can take place. All payments owed and fees are collected and paid at this time (covering expenses such as title insurance, inspections, real estate commissions). 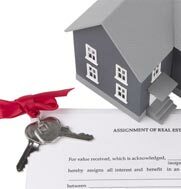 You'll then secure the title to the home and the title insurance gets dispersed as outlined in the escrow instructions. At the close of escrow, fees are paid in an acceptable form to the escrow. You'll know when it's time to submit the form of payment. Creating a Mortgage Escrow Account helps keep track of on-going expenses while there's a loan on your house. Though most home buyers make payments via their monthly mortgage payment, Escrow Accounts are deposited into at closing as well. Once you're at ease with the escrow process, you can be a confident buyer.